Christmas Party for friends, neighbors & family! 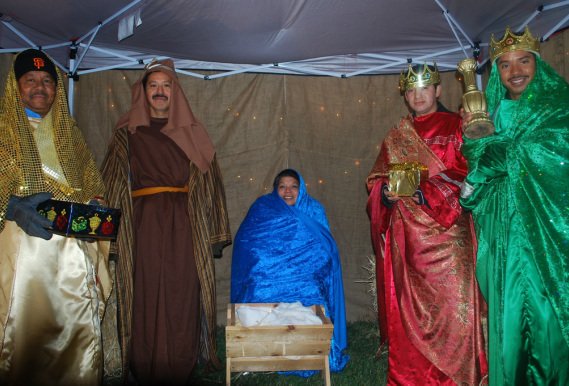 Drive by and see the Living Nativity. 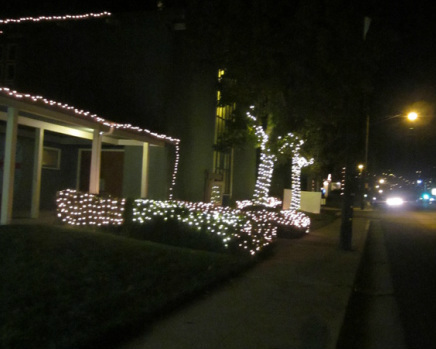 We want to brighten up our little corner of Richmond. 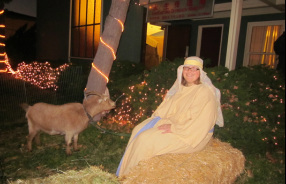 Come and enjoy our lights, live animals and Nativity on our front lawn! Live animals to pet and feed! 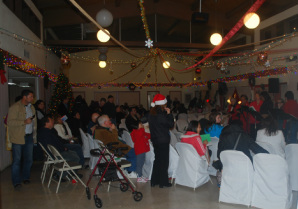 Plenty of yummy food with Christmas cookies and hot cider to enjoy while listening to live Christmas music. 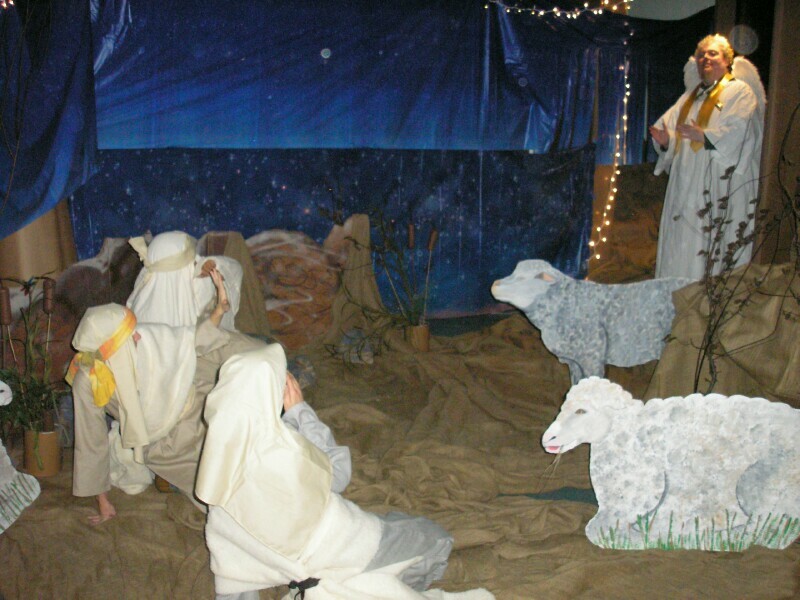 Visit booths in Bethlehem Village and learn about life in Jesus' time. 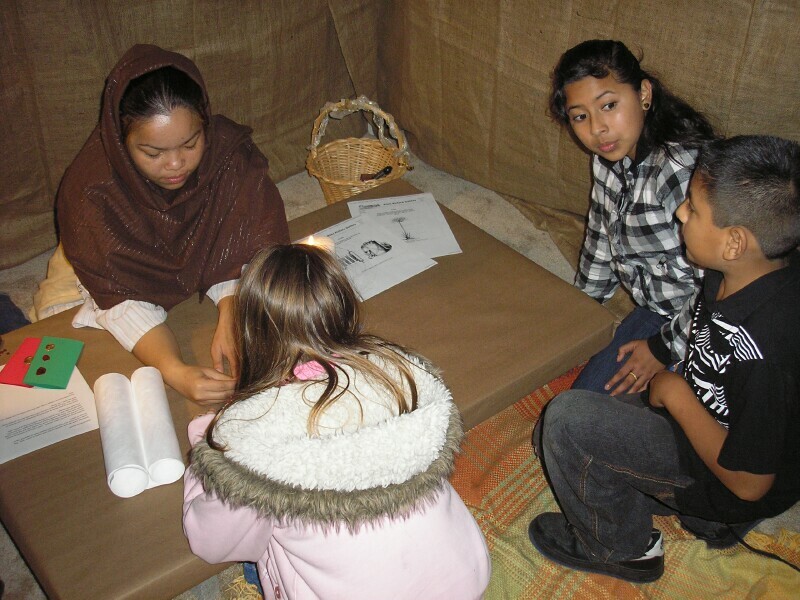 Try your hand at writing with real ink and a wooden stylus or hand drilling like a carpenter. 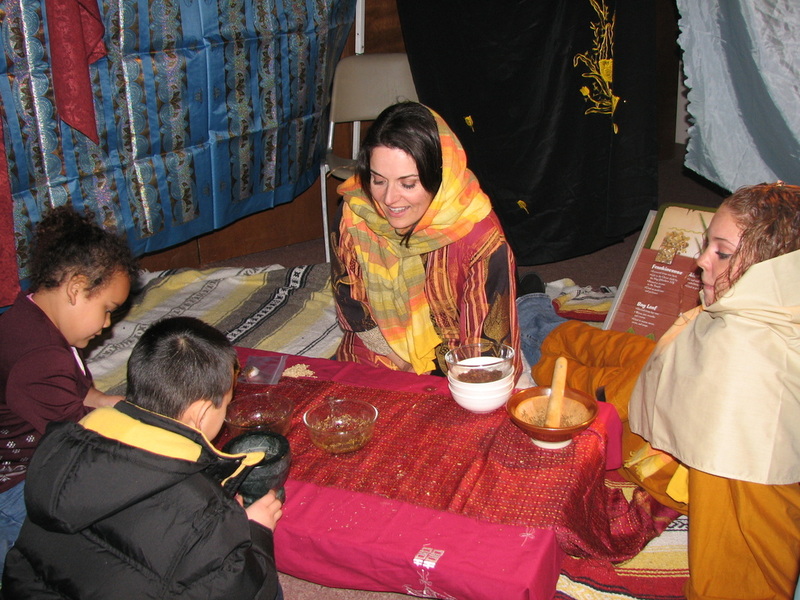 In the Fireside Room, enjoy a warm, cozy fire as Christmas stories are read to children in English, Spanish and Portuguese. Also on display are a variety of Nativity sets from around the world. 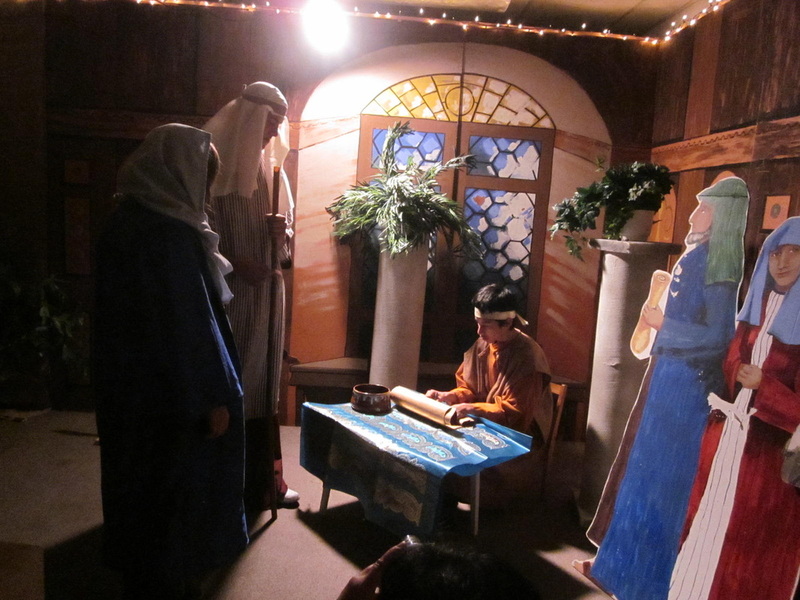 Take a Bethlehem tour and journey back to experience the Christmas Story. 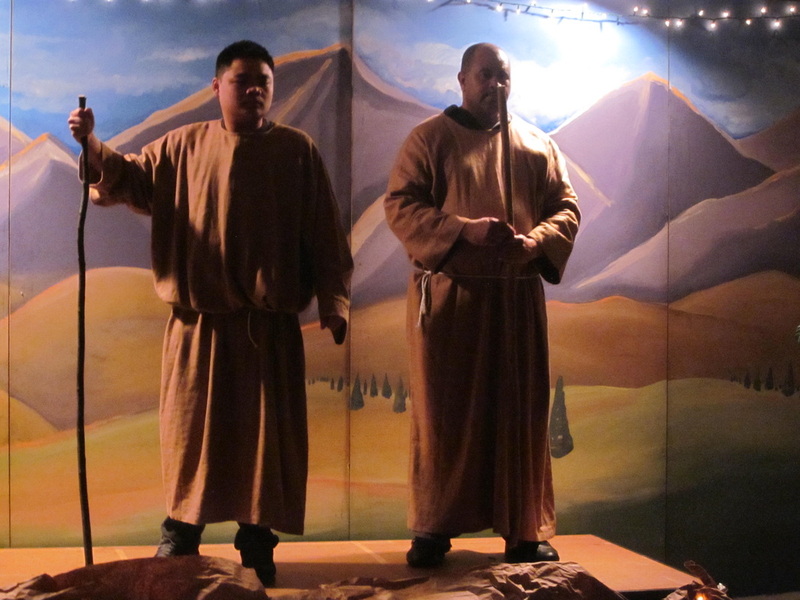 Shepherds guide you through different scenes; retelling the story of Jesus' birth. 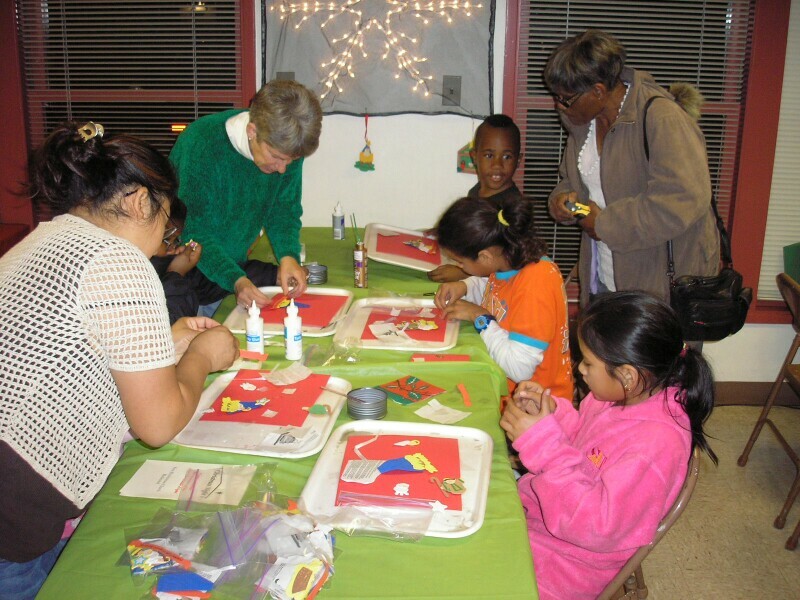 Create a special Christmas craft to take home to remember the evening. 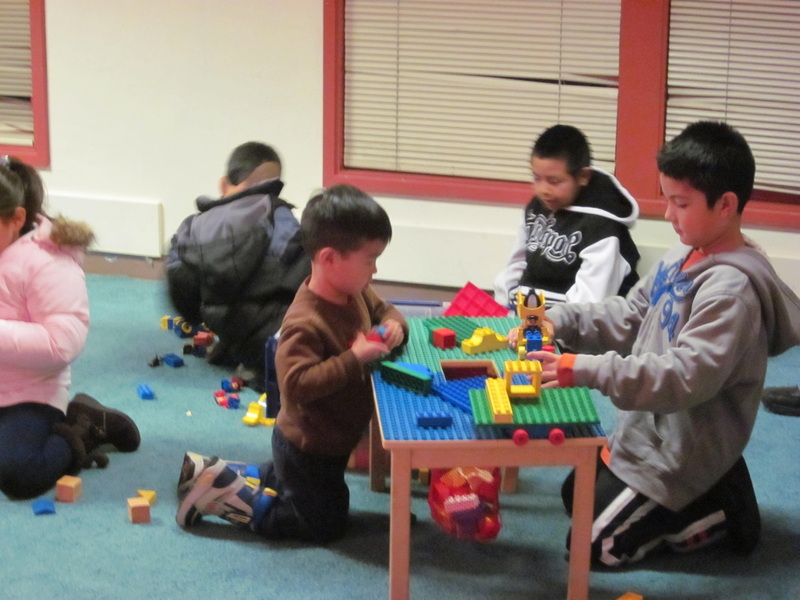 Children can enjoy a play area, with Christmas coloring sheets.